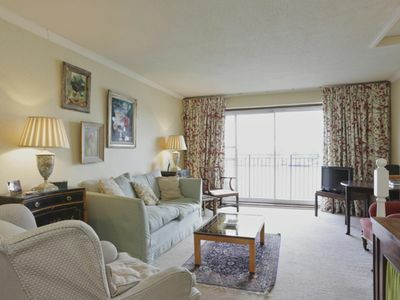 A split level maisonette located on the first and second floors of a small block of sunny apartments overlooking the river Thames and Albert Bridge, with great river views. Garage for a small car is available on request. Non-smoking, Wifi Internet connection. Not suitable for smaller children due to open staircase. The master bedroom has two single beds pushed together and the second bedroom also has twin beds. Both rooms have plenty of good cupboard space and the master bedroom has fabulous river views.